Ok, I have to admit that I have been bah-humbuging a bit about Valentine’s Day this year. Some years I love it, some years I’d rather skip it all together. This year was turning into the latter…until I found these. Yes, yes, I know this is not a big deal to much of the world. But for someone who adores speaking Spanish, this sweet little surprise in the Valentine’s aisle at Target positively made my day. So of course (of course!) I bought way too many bags. 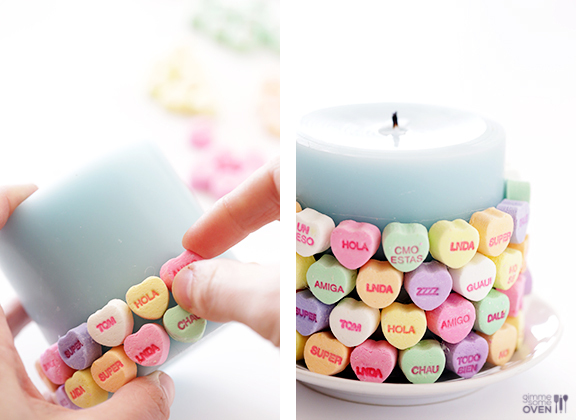 And then came home and realized — oh — I much prefer to look at conversation hearts than eat them. 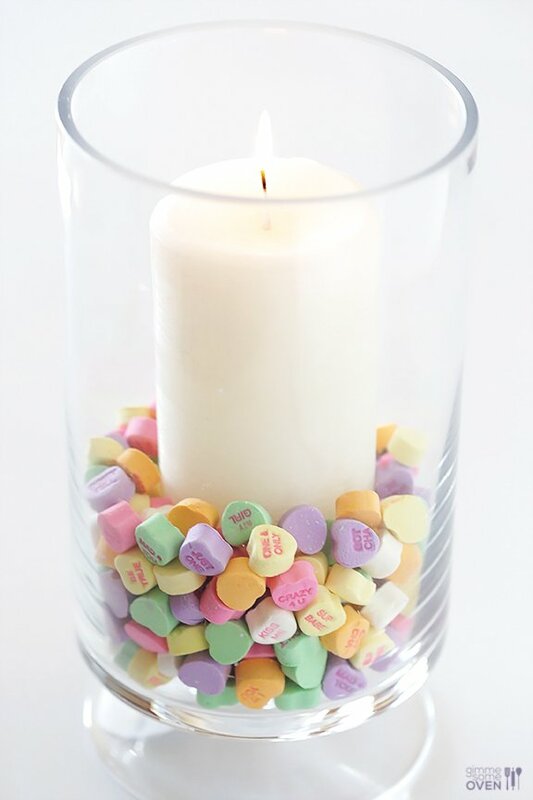 So I decided to make a few little conversation heart candles! 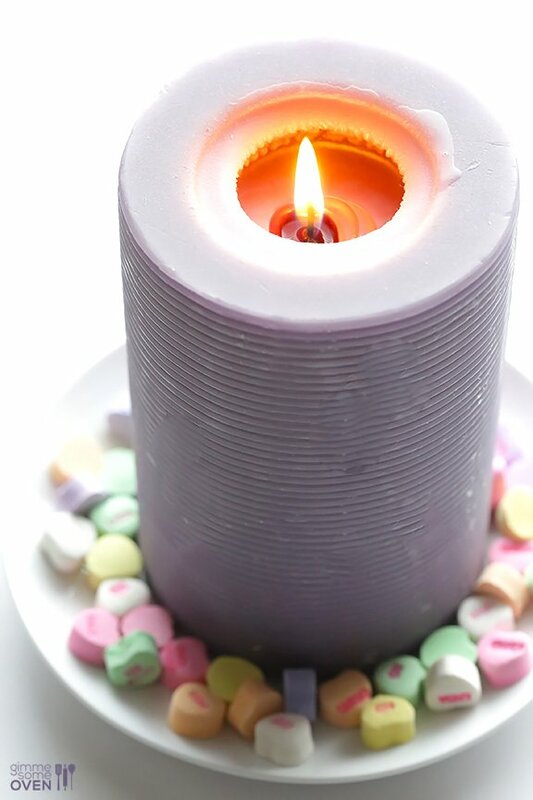 My first Valentine’s heart candle was one that I found at a garage sale years ago. The purple doesn’t totally go with my decor, so it has been sitting in a box for a few years. But the color is perfect for Valentine’s! 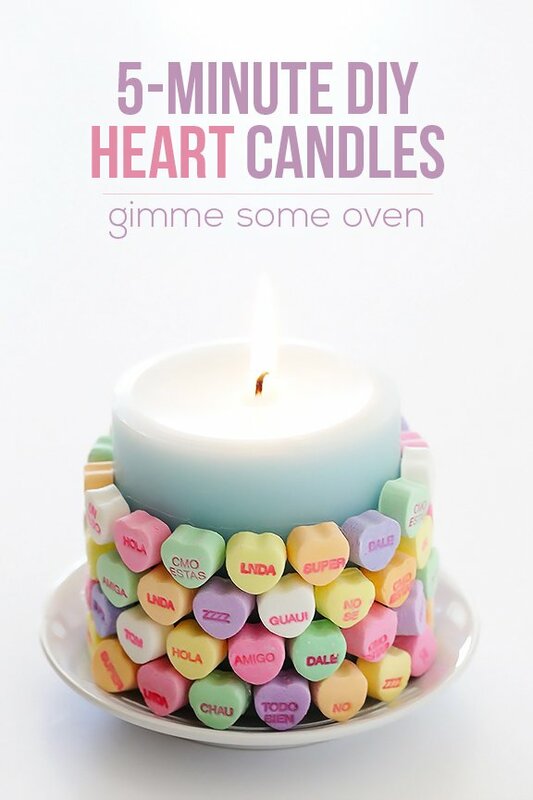 So I just popped it on a plate (or you could use an “official” candle holder) and then surrounded it with conversation hearts. Easy peasy. …and glue it onto the candle. Then repeat, in whatever pattern you’d like. I’m always paranoid about anything I glue to the outside of a candle accidentally catching fire. 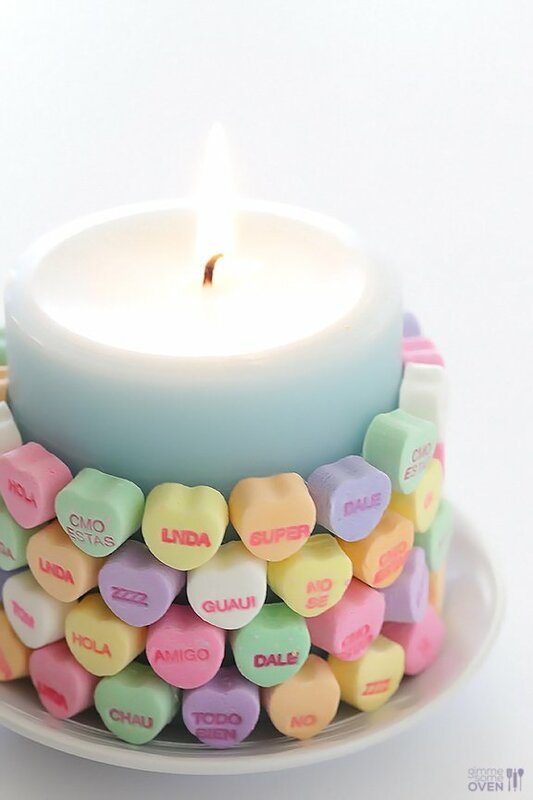 So I only glued conversation hearts about halfway up the candle. Use your discretion there. I don’t speak Spanish but they’re still cute! Love the cards too. 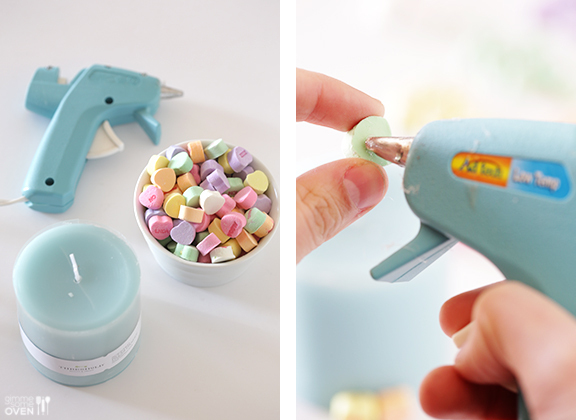 Oh, I love these Ali! 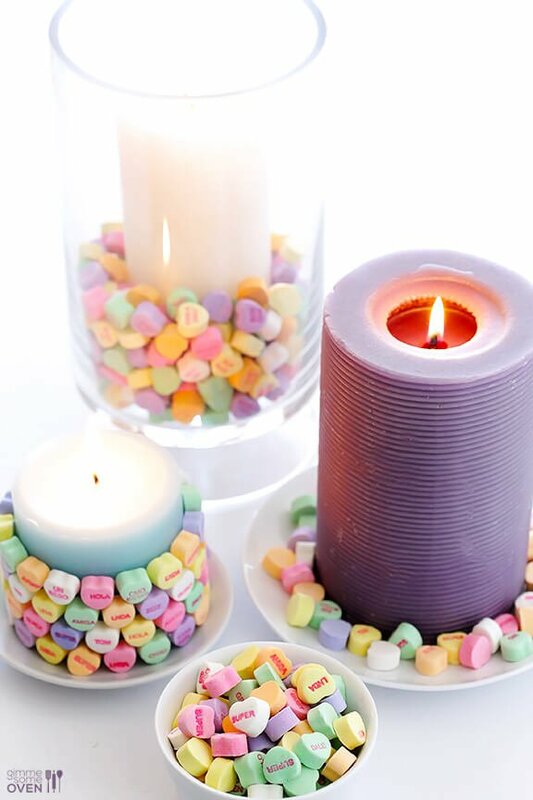 What a great simple way to decorate. Pinned!